Contract success at University of Miami Hospital is a lesson in solidarity. Last year, when 1199SEIU and the University of Miami Hospital (UMH) began bargaining wages for the first year of the three-year collective bargaining agreement, the hospital was $64M in debt and hemorrhaging experienced staff. 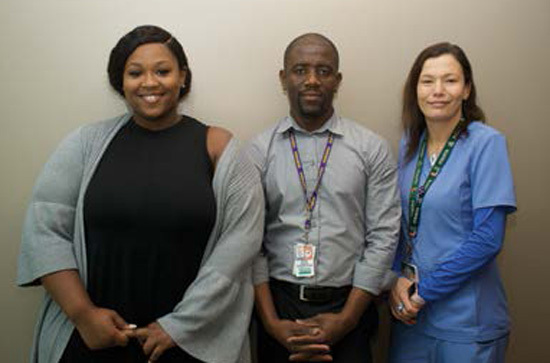 By collaborating with UMH, 1199ers this summer successfully completed a wage reopener of last year’s contract that includes raises for most of the bargaining unit and paves a new path to address patient care, the institution’s infrastructural needs, and retention of highly skilled staff. Since re-launching the labor-management partnership at UMH in 2012, 1199ers have approached negotiations and problem solving with a robust sense of collaboration. The hospital was among the first in Florida to establish a $10.10 per hour minimum wage (now at $11.00). Cooperative efforts have yielded marked success in overall patient satisfaction, including reduced patient wait times and improvements in wound care. Brunson notes that raises did not necessarily meet everyone’s expectations. To fairly distribute resources earmarked for raises, workers and union staff gathered and analyzed a trove of data related to local healthcare trends in staffing, training, standards, salaries, wage compression and other factors. “The committee’s work effectively demonstrated the deleterious effect wage compression has on retention,” says RN Henry Pouerie. “We had a lot of nurses go work at other institutions and it was a real drain on the organization. The hospital was losing employees and having a tough time filling positions. South Florida is very competitive,” says Pouerie, a negotiating committee member. Negotiating Committee Member Elizabeth Jazon, a UMH RN for 10 years, received a lump sum but was unfazed, citing the priority of the collective in trade unionism.